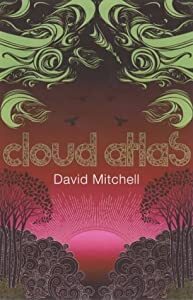 Black Swan Green by David Mitchell is about life in a small Worcestershire village in 1982, through the eyes of a thirteen year old boy. When we begin Jason Taylor is ‘average’, not one of the popular kids, but not one of the ‘outcasts’ either. Over the course of just over a year Jason navigates through the treacherous waters of early puberty, enduring bullies, witnessing the breakdown of his parents relationship and becoming aware of those strange creatures also known as girls. It is a wonderful book, if a little too close to the truth at times. While reading it I couldn’t help but recall my own experiences as thirteen year, and shudder. Mitchell captures the voice of his thirteen year old narrator perfectly. The earnest sincerity with which Jason tells the reader about his world and the people in it is beautiful. Although Jason would NEVER say it, “cause we all know boys can’t say BEAUTIFUL, ’cause that’s gay”. I highly recommend this book to anyone that was ever thirteen.